Ownership / Access: Owned by the Province of Antwerp. Notes: Hingene Castle (Dutch: Kasteel van Hingene, also known as the Kasteel d'Ursel) is a stately home in Hingene in the municipality of Bornem, province of Antwerp, Belgium. The estate was the summer residence of the House of Ursel. The Dukes of Ursel and their family resided for 350 years on the estate. Its original view can be seen in the Flandria Illustrata. A famous resident was Conrard-Albert, first Duke of Ursel (1665-1738). His son the second duke asked Giovani Nicolano Servandoni (1695-1766) to redesign the family estate. 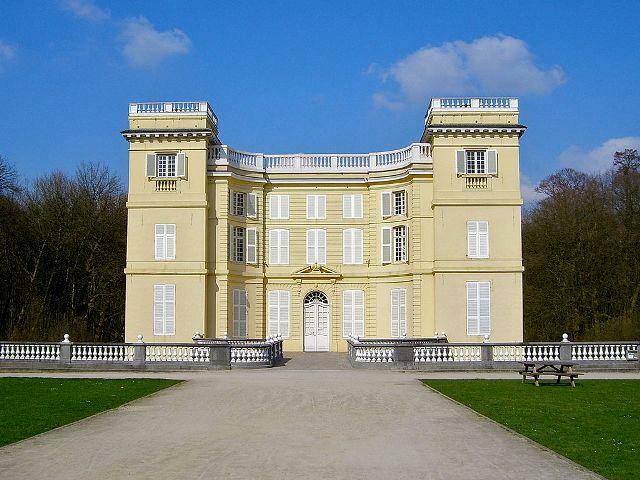 The front was made symmetric like a palace.The duke received important noblemen here, such as Johan von Sinzendorf und Pottendorf (1739-1813) and Joseph de Ferraris. During the 18th century the castle was known for banquets and balls. Marriages in the family were celebrated by the whole village, the dukes usually being well regarded locally. Around 1960 the castle was sold by the Duke of Ursel, the furniture and contents of the library were removed from the castle. The House of Ursel left the town, and chose to reside henceforth in Brussels. In 1994 the province of Antwerp obtained ownership and restored the estate to its 17th century state. The Duke of Ursel gave an important part of the original interior back to the castle.